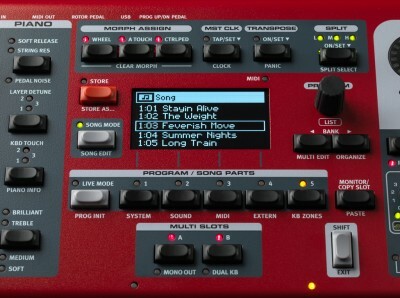 The Nord Stage 3 also features 3 Split Zones and a new Split Point Crossfade functionality. Choose among 3 different crossfade widths (Small, Large or Off) indicated by different LED colors. Click the button below to add the Nord Stage 3 Compact Keyboard to your wish list.